Heads up, Superman fans! If you think you know every bit of Man of Steel trivia out there, then you haven't seen this video. 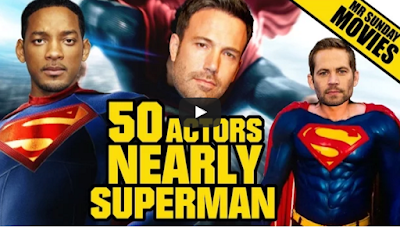 The YouTuber known as Mr. Sunday Movies runs down fifty actors who could of been Superman. See the cast of the superman with the help of nearly fifty actors. A great post of the fun which is also a challenge able. With the help of cheap essay writing services you can get the best area of invention from this zone. Search more from this blog.